"RFID Smart Card Reader Prototype." 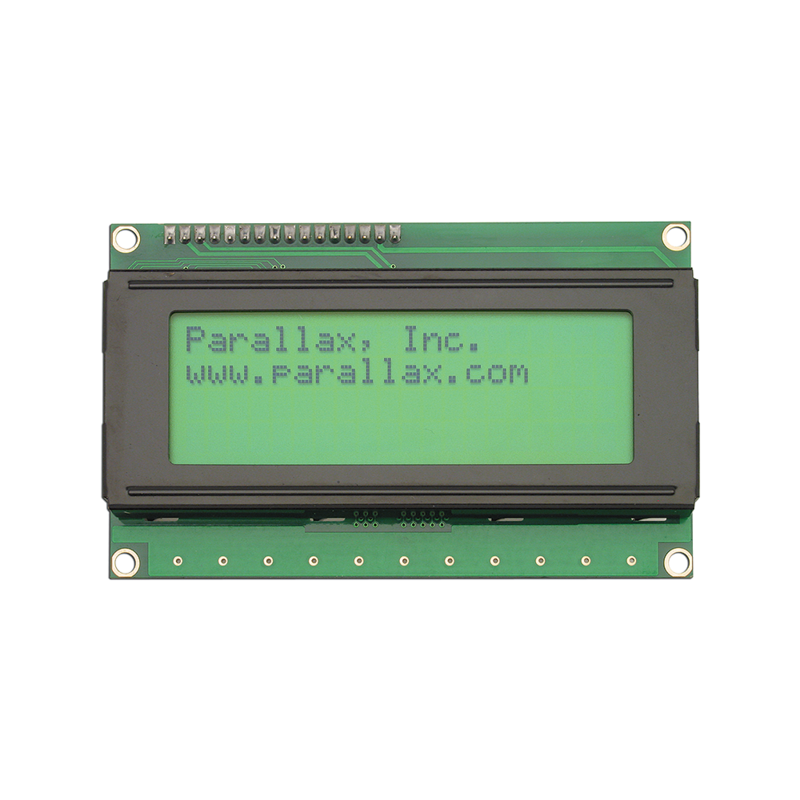 Parallax Serial LCD Product Guide. Parallax Serial LCD BASIC Stamp Example Code. Parallax Serial LCD Propeller P8X32A Example Code. Parallax Serial LCD Javelin Stamp Example Code. 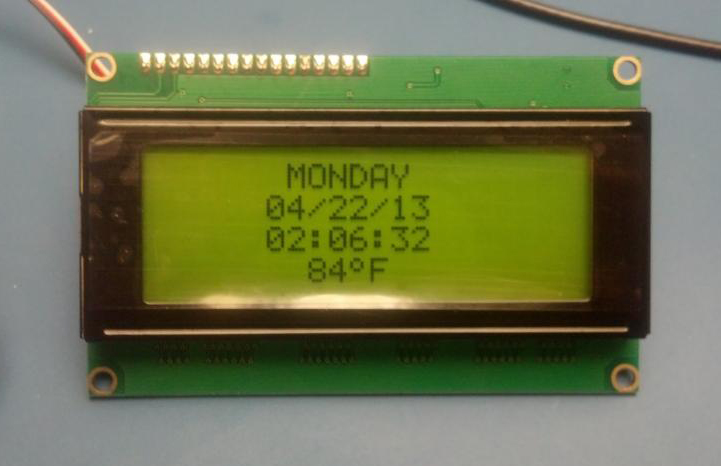 Parallax Serial LCD SXB Example Code. 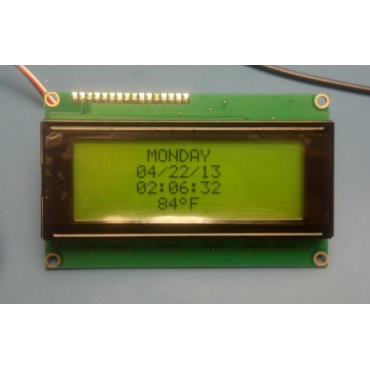 The Parallax Serial LCDs (liquid crystal displays) can be easily connected to and controlled by a microcontroller using single I/O pin. The LCD displays provide basic text wrapping so that your text looks correct on the display. Full control over all of their advanced LCD features allows you to move the cursor anywhere on the display with a single instruction and turn the display on and off in any configuration. They support visible ASCII characters Dec 32-127). In addition, you may define up to eight of your own custom characters to display anywhere on the LCD. Clear 40-pixel characters support ASCII DEC 32-127. Turn backlighting on or off with a single command. Move the cursor anywhere or clear the display with a single command. Build-in piezospeaker lets you add audible alert tones. Baud mode selector and adjustable contrast on the back of the display. Professional-looking text user interface on any microcontroller application. Easy serial debugging without a PC. Real-time sensor data output on autonomous robot. 4 rows x 20 characters. Test mode verifies display functionality. Baud rate switches on back of device. Power requirements: +5 VDC, 20 mA (light off), ~80 mA typical (light on). Selectable asynchronous serial baud rates: 2400, 9600, 19200. Dimensions: 2.37 x 3.86 in (60.2 x 98.1 mm). The LCDs currently for sale are updated to Revision F. Basic functionality remains the same, but power requirements and the layout of the backpack have changed. Please see the documentation for information on your model. This device can be connected to a PC serial port using a MAX232 line driver. The circuit isn't supported by Parallax, but it's possible to make this connection with a few extra parts.